You’re reading novel The Magus Era Chapter 1717: Intrude Into Heaven online at LightNovelFree.com. Please use the follow button to get notification about the latest chapter next time when you visit LightNovelFree.com. Use F11 button to read novel in full-screen(PC only). Drop by anytime you want to read free – fast – latest novel. It’s great if you could leave a comment, share your opinion about the new chapters, new novel with others on the internet. We’ll do our best to bring you the finest, latest novel everyday. Enjoy! Yu Tu was swinging his blade down at a desperately resisting priest. But suddenly, the s.p.a.ce before his face quaked and then a green finger thrust out, descending on his chest while being surrounded in faint streams of light, seeming to even destroy the world. The s.h.i.+ning green finger was hazy like a shadow. Along with the power of quietus, it pointed towards Yu Tu's blade gently. The greatest horror of slaughtering all lives collided straight against the coldness of sending all livings beings in quietus. The s.p.a.ce before Yu Tu collapsed into a thousand miles wide black hole. Along with a deafening scream, Yu Tu condensed his spirit power into extremely sharp blade lights, lunging towards Priest Mu at the level of soul. In the following moment, Yu Tu vomited blood and staggered back for a series of step. Priest Mu's finger landed on his chest through s.p.a.ce and created a hole on his heavy armor, then sank into his body for three inches. The moment Yu Tu suffered the strike from Priest Mu, the s.p.a.ce before Yu Huo's face collapsed too. With the snow-white, flawless, s.h.i.+ny, white paG.o.da floating above his head, Priest Hua suddenly rushed out. He was expressionless, body wrapped in layers of sacred white light. A beautiful Dao was demonstrated by these one-hundred and eight strikes launched by Priest Hua. 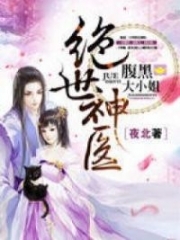 Seeing him raise the weapon to hit his enemy, Ji Hao felt like watching the sun and moon rising and falling, the tide flowing and ebbing, the flowers blooming and withering, the birds flying, the gra.s.ses growing; he felt that all natural beauties of the great Dao were hiding in this series of strike. "d.a.m.n it!" Yu Ling and the other Pan Yu saints immediately growled out loud. Greedily, they reached out their hands simultaneously towards Pan Yu's brain. You're reading novel The Magus Era Chapter 1717: Intrude Into Heaven online at LightNovelFree.com. You can use the follow function to bookmark your favorite novel ( Only for registered users ). If you find any errors ( broken links, can't load photos, etc.. ), Please let us know so we can fix it as soon as possible. And when you start a conversation or debate about a certain topic with other people, please do not offend them just because you don't like their opinions. You're reading The Magus Era Chapter 1717: Intrude Into Heaven. This novel has been translated by Updating. Author: Blood Red,Xue Hong,血红 already has 560 views. Current Time is Apr-19-2019 12:42:18 PM.